For children preschool to 12 years old. 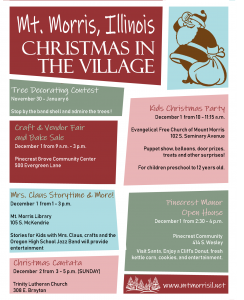 Mrs. Claus Storytime & More! 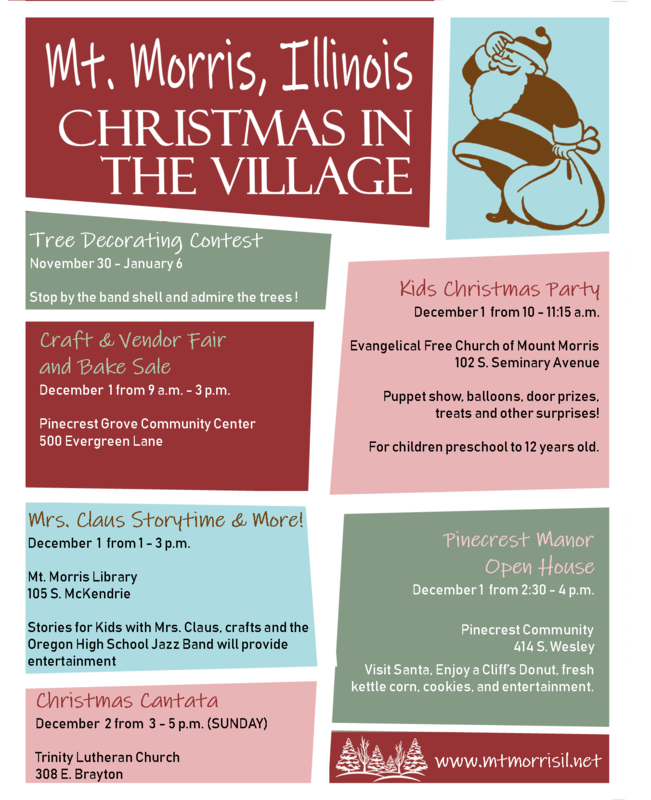 Stories for Kids with Mrs. Claus, crafts and the Oregon High School Jazz Band will provide entertainment. Visit Santa, Enjoy a Cliff’s Donut, fresh kettle corn, cookies, and entertainment.